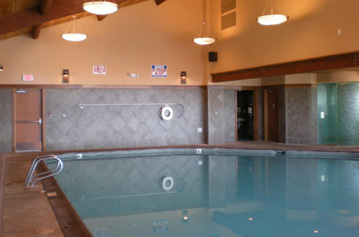 Crow/Clay & Associates incorporated a pool addition to the existing Lodge Hotel. Keeping in the theme of the original Lodge Hotel, the exterior blends seamlessly while the interior has a calming spa feel. 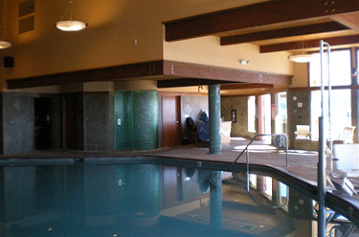 Complete with a large indoor pool, two varied temperature outdoor jetted spas and a large, wind-protected patio for events and lounging in the sun. The mechanical systems are designed to be energy efficient. The second level of the pool building contains a gym for hotel guests. While working out, the guests have a splendid view of the bay. Adjacent to the pool addition is a small section that was remodeled to accommodate an arcade. This addition not only adds amenities for hotel guests, but also provides an additional meeting/party space for the casino.